This passive pickup set created for guitarist, songwriter and producer Prashant Aswani. The Revelation Set spent 2+ years in development that included testing in both recording and live playing sessions. 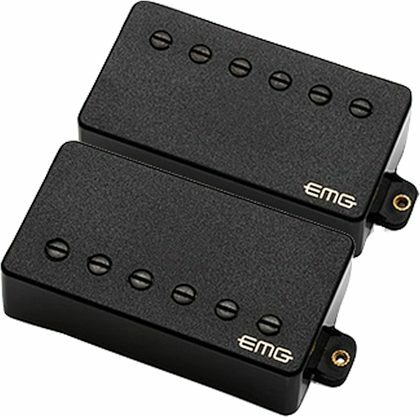 After several variations EMG and Aswani had designed an undeniably brilliant pair of humbuckers that delivered the clarity and definition usually found only in active pickups. This matched set has precision wound custom bobbins and Alnico 2 magnets that create the perfect balance between neck and bridge positions. The Alnico 2 magnets have just enough "give" to deliver that classic sponginess passive players crave without the muddiness usually associated with old school PAF-types. Aswani is known for his amazing style and tone and now has the perfect pickups to help him deliver every time.